GM Ryan Pace didn’t mince words. His plan for the Chicago Bears in 2019 is to “fight complacency.” In other words, just because the resources are more limited this offseason doesn’t mean he won’t be aggressive in trying to find upgrades for his team. It’s all about finding the right place, time, and target to do so. Odds are it won’t be in the draft or via any trade. The Bears have only five picks total this year with none in the 1st or 2nd round. That narrows the field a bit. In other words, it looks like free agency may be the only place for Pace to launch his sneak attack. He doesn’t have a lot of money to spare, but there should be enough for one big contract if he so wishes. That raises the obvious next question. Who would they go after? Looking across the landscape of possibilities, one position sticks out. That’s safety. Adrian Amos is coming out of contract. 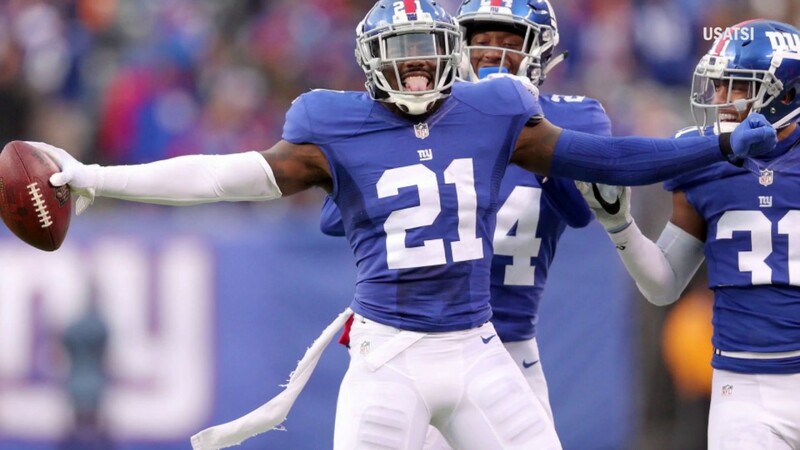 While re-signing him is a natural idea, there is a possibility that the Bears could upgrade that spot with three-time Pro Bowler Landon Collins. The biggest obstacle before anything else is whether or not Collins reaches the market. As of yet, the Giants haven’t begun negotiations of any kind with him about a new deal. That could easily start soon and they also have the franchise tag in their back pocket. However, there is at least some reason to think they won’t end up paying the money he’ll be looking for. Their GM Dave Gettleman has a reputation for not liking to pay defensive backs big money. Back when he was GM in Carolina, he famously rescinded the franchise tag placed on Pro Bowl cornerback Josh Norman in 2016. This after he just helped the Panthers reach the Super Bowl. Norman left for Washington. Gettleman stood his ground, believing there was a certain dollar amount that position should be paid and Norman’s demand was too high. The same problem may be showing up again. New York is projected to have upwards of $26 million in cap space. According to cap expert Joel Corry of CBS Sports, a new contract for Collins might eat up almost half that number. That’s a lot of money to be sure. It certainly doesn’t sound like an amount Gettleman would be anxious to pay. Not when he wasn’t the one who drafted Collins in the first place. So that leaves the door somewhat open for the safety to become available. This sort of bold move for the Bears certainly sounds reckless. Remember that they are projected to have less than $20 million in cap space this offseason. That’s with a number of key free agents like Bobby Massie and Bryce Callahan in line for new contracts. Not to mention guys like Cody Whitehair, Jordan Howard, Leonard Floyd, and Danny Trevathan all coming into the conversation in 2020. This would likely mean the Bears have to sacrifice somebody besides just Amos. Pace is no stranger to working the cap and has proven quite adept at it. He understands that the team has a limited window. Mitch Trubisky has two years left on his rookie contract. Three including the 5th year option. That means the Bears have a three-year window before the massive new contract quarterbacks always command becomes a reality. This presuming Trubisky continues to progress as expected. Believe it or not, this might actually work to the Bears’ advantage. Instead of offering Collins a massive long-term deal, they could instead give him a three-year contract at his desired price. Why would they do this? Remember that he is 25. If he signed such a deal, he’d be 28 the next time his contract expired. Young enough to command a second large deal, perhaps even more lucrative than the first if he plays well. It’s similar to the contract Allen Robinson signed with Chicago this past offseason. Last but not least is the coaching staff. Remember that Collins is a defensive back. Odds are he’d like to play for a defensive coordinator who holds expertise and value at that position. Chuck Pagano, whom the Bears just hired, is exactly that. Before becoming a head coach, he was primarily a defensive backs specials going back decades. He coached Ed Reed so he knows how to cater to safeties. Also, don’t forget another key point that makes this move believable. The Bears just hired Deshea Townsend to be their defensive backs coach. Before coming to Chicago, he spent the 2018 season with the Giants as their assistant DBs coach. So he has a relationship with Collins from working together. That familiarity could be another dash of sprinkles on the recruitment pitch. Make no mistake. A lot needs to happen for the Bears to have a shot at Collins, but if there is a bold move out there to make in 2019, this is the most realistic.